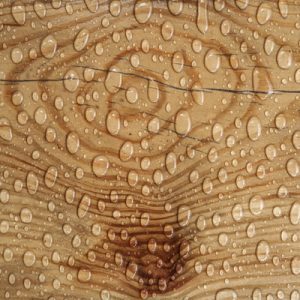 Luckily, there are a few easy things you can do to protect your hardwood floors from the damaging effects of water. Water is your hardwood floors’ biggest enemy. If there is a flood, your best bet is to talk to a professional restoration company right away. That said, small things add up too. Small spills and humidity can also damage your hardwood floors if you don’t protect them properly. Luckily, there are a few easy things you can do to protect your hardwood floors from the damaging effects of water. Don’t leave wet clothes, footwear, or appliances on your hardwood floors. Pick them up as soon as you possibly can, which will allow your floor to dry faster. If your carpet gets wet, blot it up with a dry towel immediately. If it’s just a throw rug, you should remove the rug so that both the rug and floor have time to dry. For spills that fall directly on your hardwood floors, wipe them up with a dry towel to the best of your ability. If the wood isn’t totally dry, put a fan on it so that it can get nice and dry. A common cause of hardwood floor damage is plumbing. If there is even the smallest leak in a pipe that gets water on your hardwood floors, it can cause damage. Be sure to inspect your plumbing at even the slightest sign of an issue to prevent any issues. By performing regular plumbing inspections, you might even be able to detect if there is about to be a leak and remedy the problem before it even becomes a problem! During the summer months, outside humidity is especially high. This can damage your hardwood floors if you’re not careful. The easiest way to combat this is to purchase a de-humidifier for your home. For those wet, rainy days, all you need to do is put rugs in front of your outside doors. Make sure your guests wipe their wet shoes. Depending on who the guest is, you can even ask them to remove their shoes. This entry was posted on Friday, August 11th, 2017 at 2:51 pm. Both comments and pings are currently closed.